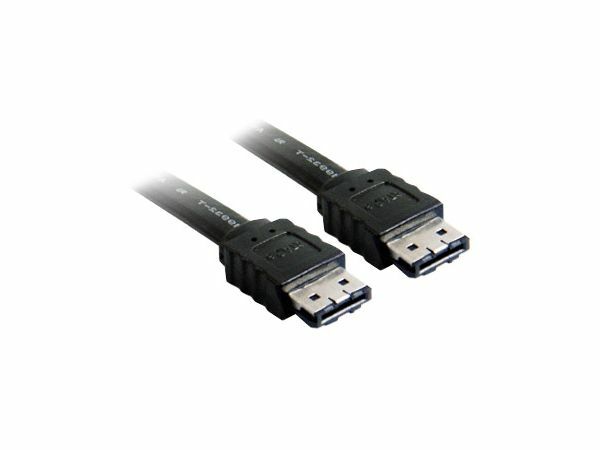 Connect two eSATA (External SATA) connections together with this cable. 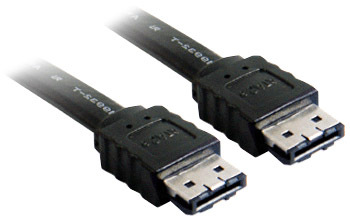 Suitable for all eSATA connections, including connecting eSATA-equipped external drives to computers with eSATA ports. Supports the eSATA standard data transfer rates of up to 3Gbps per second (subject to computer and device supporting it).